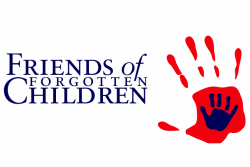 Operating one of the largest food pantries in the greater Concord area, the Friends of Forgotten Children food assistance program is made possible by generous businesses, individual donations and food drives conducted by local organizations. Food donations come from the US Department of Agriculture and the Capital Region Food Program. FOFC purchases food from the New Hampshire Food Bank when needed. All items are for distribution to families and individuals in need. FOFC stocks a variety of shelf-stable food items, as well as refrigerated and frozen meats and produce upon availability. FOFC provides enough food to feed clients for seven days. Recipes and tips on how to make food supplies go further are provided upon request. FOFC carries non-food items that cannot be purchased through the food stamp program and items that other pantries do not stock. These items include: soaps and shampoos, laundry detergent, toothbrushes and toothpaste, baby care items and household paper products. ​Contact the FOFC Webmaster if you experience issues with this site.